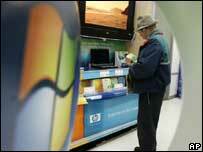 Windows XP will stop being available on new PCs from the end of January 2008. Microsoft is keeping to a plan to stop selling the operating system even though surveys show a lukewarm response to Windows Vista among consumers. A poll by US market research firm Harris Interactive found that only 10% of those questioned were planning to upgrade to Vista in the near future. 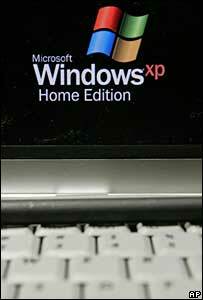 All versions of XP, including those made for media centre or tablet PCs, are affected by the decision. Microsoft has confirmed that from 31 January 2008 large PC makers, such as Dell, HP and Toshiba, will no longer be able to buy licences for the software so they can install it on new machines. Windows XP is being retired to make way for Windows Vista, the consumer editions of which were launched in Europe on 30 January. However, a poll released in early April suggests that Vista has yet to win over significant numbers of potential customers. The study of 2,223 web-using Americans found that although 87% had heard of the operating system only 12% of those who knew of it were planning to install it. While the survey did find that some people waited for Vista before buying a PC, 60% said its appearance had no effect on their spending plans. It also found that 79% of those questioned were using Windows XP on their home PC. Robert Epstein, Microsoft's European spokesman on Windows licencing, said: "There's no significant change with XP compared with how we have done it with other operating systems." He added that PC makers could get hold of licences until 2009 if they bought them from third-party suppliers rather than Microsoft. Mr Epstein said withdrawing XP licences had no implications for long-term technical support for the product. "This is purely about availability of brand new licences for brand new machines," he said. "We'll continue to support XP for some considerable time." Microsoft has a well-established programme that governs the lifecycle of its products and how long they have before licences stop being offered or support is withdrawn. In related news, the software firm has reminded those who tested early versions of Windows Vista that the software will stop working on 1 June. Millions of people downloaded and installed pre-release versions of Vista to see what the software was like and to help Microsoft fine tune the finished product. However, these early "release candidate" editions of Vista had a limited life. "So customers need to decide if they want to move to Windows Vista or back to Windows XP if they have test versions of Windows Vista on their PCs," said Cori Hartje, director of Microsoft's genuine software initiative, in a statement. The pre-released versions of Vista do not allow users to rollback to earlier versions of Windows installed on a PC which means that people will must re-install either their old operating system or upgrade to a full version of Vista. In a further complication, if users choose to upgrade to Vista from a release candidate they must use a full and final version of the Ultimate edition of the software rather than a cheaper "upgrade" edition. Vista is available in six separate versions - three for home users, two for businesses and one for emerging markets.